I would have to say this is the worst Router I have ever encountered. I am a very heavy networking user and work in the IT field. At any give time I will have around 7 devices connected to this, some using WAN, some using LAN, and some using both. This router has been a disappointment from every angle. I have gone through every firmware upgrade, resets, setting tweaks and this still fails, and I am only talking about wireless connections. I can't even being to describe the wireless performance, basically to sum it up...unless I am 5 feet away from the router everything goes to hell. Normally something like this would not anger me, but it was a $200 router. I feel like I spent $200 just to be angry. Dlink also obviously dosn't know how to fix it, they have proved that they cannot backup one of their "supposed" best routers. They should just stop trying and release the source for the firmware, DD-WRT will come in and fix everything. I believe it has already been confirmed that the DGL 4500 processor is supported by Linux. Although, what really showed me how terrible this router was is the Linksys WRT54GS. Bought one for a friend for $35 shipped, flashed it with DD-WRT (20mins to 1hr of work, depending on user), and now it runs like a champion. It has between 2 and 5 wireless devices on it, 2 hard wired 360s, and 2 hard wired computers (one of them runs torrents and usenet 24/7 with bandwidth throttling) and it has had not so much as a hiccup. If you can do that with $35 dollars, why can Dlink do it with $200? It is very inspiring that a lot of you can bite your tongue and keep hoping that the next firmware beta will be the unicorn we are all looking for, but the reality is that the older the router gets, the worse the support from Dlink is going to be. If anything the DGL-4500 is Xbox 360 of the router world (Xbox 360s have a 53% fail rate I believe). To continue, my previous router before this was also a Dlink, and it experienced most, if not all the same problems as this one, but it was a budget router so I looked the other way. I'm sorry to be so negative and I do not necessarily mean to bash on Dlink, but the fact of the matter still remains: I paid $200 for the best router, and I got a happy meal toy with Ethernet ports. PS: I have heard reports of people being banned from these forums for "venting" their problems here. So please if you plan on removing this post, just keep in mind that I am a Customer and I paid for a product that was supposed to perform and it did not, thus I am angry. "At any give time I will have around 7 devices connected to this, some using WAN, some using LAN, and some using both." I'm assuming you met that WAN = wireless area network instead of wide area network. If you are using a physical cable and wireless at the same time you will get tons of spoofing errors. I did that once by accident and it decreased the router performance by more then 50% generating an error every second. So you should use a wireless or physical cable NEVER both at the same time on the same system. Some devices now of days automatically disable wireless when a physical cable is plugged in. Dlink made HUGE improvements to the router for a lot of people that were only getting 3 days to 1-3 hours of up time. Most are now getting 20+ days i got over 31 days and my best before the beta firmware was 3 days max before auto restart. Considering you can't get 5 feet away with wireless shows that either there is a problem with the router itself or you are near something that is causing the wireless to degrade greatly. If you have your router on a subwoofer or close to high voltage devices it will degrade your performance greatly. I had a friend who had a problem were his wireless worked like **** to find out that the subwoofer was causing the problem. Are there errors in the router log file? if so what are they? Which firmware are you currently using? Is your router near any electrical devices? What settings did you disable? what did you try? Check your attena's? are they all screwed all the way in? Is the router making any wield sounds? Like there are others that are willing to help out best they can. For some people this router is working great as for others they still have problems. Not saying you should not be angry got every right to but being angry sometimes only cause more problems rather then solve them. Overall though I guess the point I'm trying to make is, if I pay $200 for basically firmware...because plenty of routers have better specs, then it should work. Yea i totally agree with you that it should work. Are you using an A1 or A2? I would try moving the router further away from the CRT monitor don't think it will solve the problem though. Double check that you have newest beta firmware and reload to factory defaults. I would keep DNS relay disabled for now though. For me even being outside i can still play games like wow get 120-200ms with no disconnects at all. With any game pretty much i have zero problems. There are a lot of people with working routers but there are still those with ones that don't work for whatever reason. I would try one PC on the 4500 and test wired and wireless. Without anything in between. Go back to the basics of trouble shooting and weed out the little things. Having the 4500 in the basement should work ok for any PCs on the same level, however never know whats in the floor between the upstairs and basement that might hinder wireless signals. Mines upstairs in the far back office in the corner with my PC and sits next to my 22" NEC CRT monitor with the cable modem and Gb switch. I get full signal on my MacBook Pro in the living room far opposite side of house from office. Testing some file xfers today, revealed that my house wireless phone was the cause of a disconnect that I thought wasn't related. The phone is on the same 5Ghz freq. I tried the xfer again with out being on the phone and all was good. Check for any wireless house phones and interference from them? - 6 Computers connected (physical cable) to Gb switch, 4 of which remain on most of the time. - 1 MacBook Pro connected to the 4500 on N mode only wireless. - Gaming and Gamefuel enabled w rules for xbox live. - WISH and WiFi Protected Setup OFF since I don't have a need for either. And the only reason for getting banned on this site is because those people have become belligerent on the posts and way off topic or attacking others. They don't ban for valid posts that concerns there product and complaining. Be tactful and act like an adult and you'll be find. I too feel this spendy unit should work great as marketed. I think dlink is working hard to help those in need on here and if you ask them, be patient. They'll get to it. Theres never anything perfect, we can just make it better. LOL. Why where all here, lets communicate and help each other out and help dlink if we can. Let us know if this helps some. I am having much better results after restoring to default settings again and disabling Wish. I've not had a good chance to try the 5Ghz band because most people in the home that are wireless don't support that band. The wireless in the kitchen is still spotty but I understand that signal quality varies based on the situation. My device is A1. I was trying to find the difference between the A1 and A2 devices and the only thing I could come up with was that the A2 was released with a newer version of firmware and a heatsink on the CPU? I'm not sure as the differences between A1 and A2. I would PM Lycan and ask or search the forums and see if there is some information regarding it. Good to hear that ur default settings seems to be improving. If your concerns are with wireless mostly. I would keep with the 2.4Ghz band however try the modes as stand alone modes. I've noticed this before in other wireless devices, using mixed modes, the signal isn't as strong as using Mode G buy itself. I have helped setup my buddies xbox on wireless and we were having connection issues. So I had him try stand alone modes to see what seem to work the best for the xbox. G is what he found to work the best and is currently using that as a stand alone mode on the 4500. I'd also find out what the highest mode each wireless device supports and include that in ur testing. Say if any device that doesn't support or require say, mode A, then why use it in mixed mode of nothing will be using it. KISS man. Also, remember to save ur configuration file. Get to a point where ur happy with the 4500 then save off the configuration. If you go and continue to make changes and something doesn't work well and you can't figure it out, you have a way of going back to a good configuration. Actually this router was one of the best routers D-Link produced alone with the DIR-825 and DIR-655 which is one of D-Links best work horse routers for the time. I have all 3 revisions of the 655. I have 3 DGL-4500s, one still in an unopened box. Not sure what forums you are seeing with complaints. I can only presume that they maybe old posts and during the time frame development was going on like you posted here. This post is how old now? Yes there were some issues in a few version of FW. I came into the forums in 2009 about a year after I bought my first 4500. I only had one issue with v1.21 FW. All other FW version were pretty good. v1.23 being the last. There wasn't much information about using Gamefuel so after doing searches on the internet and using my own experiences, I came up with a good FAQ that has been used over the years to help users with there routers, even in other model routers. It gave us an understanding on how to configure and use QoS on routers. Still working for some new generation routers. Not sure what your problems are regarding what your experiencing with the 4500. The FW is solid and works well. There are many other factors that can contribute to any router malfunction, misconfigurations, environment surroundings, ISP services and wifi interferences which can cause problems with ANY Mfr router. This router has been throughly vetted and many other users will confirm that this was one of the BEST routers D-Link ever did. D-Lnk also did other model routers that have done well and exceeded the DGL-4500 by a good measure. With todays newer wifi and CPU technology, it does date the 4500 now and maybe the 4500 can't perform as well, however for a general and simple use router, the 4500 would be good. Even if one disabled the WiFi radio, one could install a AC class wireless AP wired connected to the 4500 and get a good wireless upgrade. No, theres nothing wrong with the router or FW. You need to review your environment and configuration and do some trouble shooting and see where the real problem is. You may have been running a computer service for a while, however maybe you don't fully understand about what routers are about and what wireless is about and how to troubleshoot them. Many factors contribute to router and wireless operation. it's not always the routers fault. Also since the CPU was not supporting of any 3rd party FW, you'd fail to understand that there isn't any 3rd party supporting FW available nor was it. The DGL model line was a proprietary system to D-Link alone. D-Link had other model routers that supported 3rd party FW solutions. And you fail to understand that the 4500 is past it's life on development and support. It's no longer developed on any more. Should there be a major security issue found, D-Link may fix those issues only from what I've seen over the years. Other then that, this model router is EOL in regards to any further development. So is the DIR-615. So...you'll need to let us try to help you and do some troubleshooting to see where the real problem is. If needed I can bring out one of mine and help you with testing. I may anyways as i've been testing other model routers. The more feedback and answers you can post with, will give us more information and we can better help you with suggestions to try. I'll be bring out my 4500 and see how mine does since it's been a while. 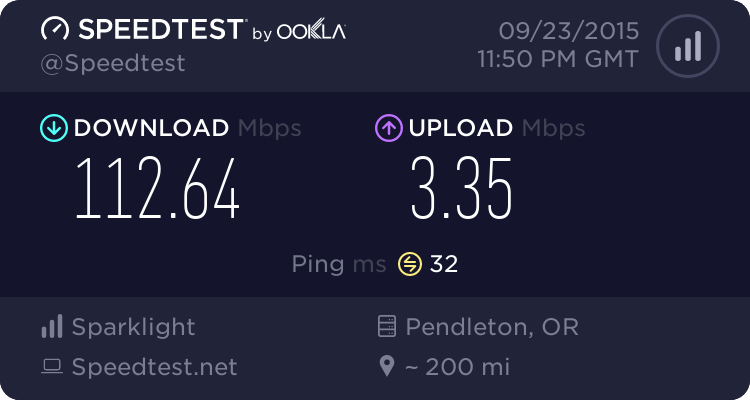 My ISP recently upgraded my service for free. I, as well as many others, can confirm what the OP says about this router. I have owned a computer service business for over 20 years. I too spent the big bucks on this router for my personal needs at home. Looking to possess the "Best of the Best" router,,, I chose this one. Boy O' Boy was that a disappointment. All the firmware updates as he stated, to no avail. Even with only one laptop pc connected you cannot begin to have any confidence of a successful lengthy download.... It freezes and requires unplugging at random. Connect more computers and the problem escalates. Forums throughout the internet are full of complaints about this router and DLINK's inability to fix it. So it now sets on a shelf back in the original box collecting dust! This was supposed to be DLINK's Flag Ship Model at the time. The unit should have been recalled! refunded! or whatever! We are the type of customers that choose to spend $$$ bucks to have your best product yet we are not taken care of. As stated before,,, the very lest you could let DD WRT have at it,, and see if they can fix what you apparently cannot. In a related more recent issue with yet another DLINK router. A DIR615 HDW Ver. I. Many Posts yet again show that DLINK's Firmware or Firmware Updates cannot fix that router which freezes and requires a reboot minutes after being powered on. So I refunded the customer and later installed DD WRT on that router. It is now ROCK SOLID and has never required me to cycle the power on it. Before it would not function for 15 min. with DLINK's latest firmware. I have now been using it for over a year without issue! This happened spring of 2014. This customer was a repeat customer. Unfortunately, He has never come back to my store. Thanks DLINK for costing me a customer! Apparently the DLINK Firmware team can not find the bug or garbage code in their firmware. The hardware is apparently fine. If we use Third party Firmware the problem disappears. I just wish that I could do that on the DGL4500! My 4500 finally gave up the ghost. Just would not get online. Everything said it was online, but could not ping anything. Could not pull any websites. Reset of device from gui allowed internet access for a minute or two then stopped. Factory reset did not fix either. Gonna miss that guy, had him for almost 8 years. Ended up getting the 5500. Did you happen to try to factory reset, re-load FW, factory reset then set up from scratch? Just curious. Ya, still have my 3. Got my 2nd one online right now. Still running great as a wired router only. Of course, not using GF as my ISP speeds exceeds it's limits. Great routers for sure.